Ask a vegetarian why he or she doesn't eat meat and you'll get a variety of answers: Beef is bad for your health. Cattle are a major contributor to global warming. It's wrong to kill animals. Beef production contributes to world hunger. Cattle ranching leads to a loss of biodiversity. Even those who eat beef sometimes do so with a heavy conscience. For many educated urban dwellers, eating beef is a guilty indulgence at best and a health and environmental scourge at worst. 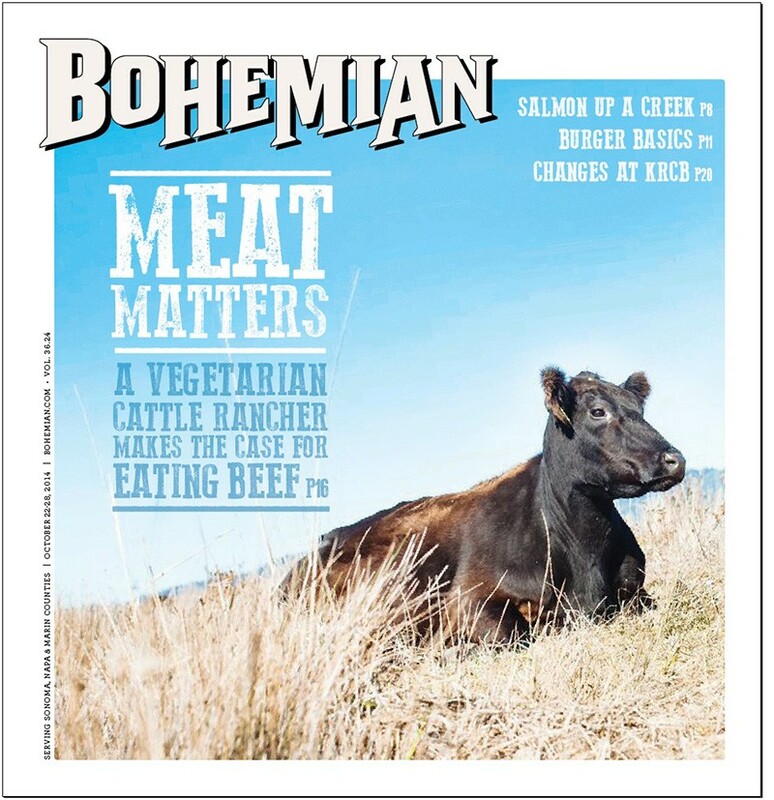 But in Bolinas resident Nicolette Hahn Niman's new book, Defending Beef: The Case for Sustainable Meat Production, she systematically dismantles many of the "myths" about beef. Not only is there is nothing inherently wrong with beef, she argues, but it's good for you and just might save the planet. Defending Beef is a lively, scrupulously researched book, and Hahn Niman knows her stuff. She was an environmental lawyer for the National Wildlife Federation and later worked for Robert F. Kennedy's Waterkeeper Alliance in New York. After meeting (and later marrying) Bolinas' Bill Niman, she quit her job with Waterkeeper and moved west. Bill Niman was founder and former CEO of Niman Ranch. He is no longer affiliated with the company that bears his name, and now raises and markets grass-fed beef under his BN Ranch brand. While Hahn Niman is a good food advocate (she published Righteous Porkchop in 2010, an indictment of the industrial meat system), she also helps her husband run their 800-acre ranch. When she first moved to Bolinas, she took a liking to a sweet, white-and-black-faced cow her husband nicknamed "Girlfriend" because, he joked, the animal was her only friend. She convinced Niman to spare the animal from slaughter. "She's the grandmother in the herd now," Hahn Niman says. "This book is going to anger a lot of people I consider friends," she predicts. "But there was this widening chasm about what I was seeing to be true and what I was seeing presented in the public discourse. I was really motivated by a desire to set the record straight." Whether you're a vegetarian or steak-loving carnivore, the book is an eye-opener. Hahn Niman exposes what she calls misinformation and half-truths about the cattle industry held as gospel by many well-intentioned environmentalists. As Abbie Hoffman once wrote, sacred cows make the tastiest hamburgers, and Defending Beef is a delicious dose of reality. On the subject of the urgent issues of climate change, soil health and biodiversity, the book presents beef production done right as part of the solution, not the problem. 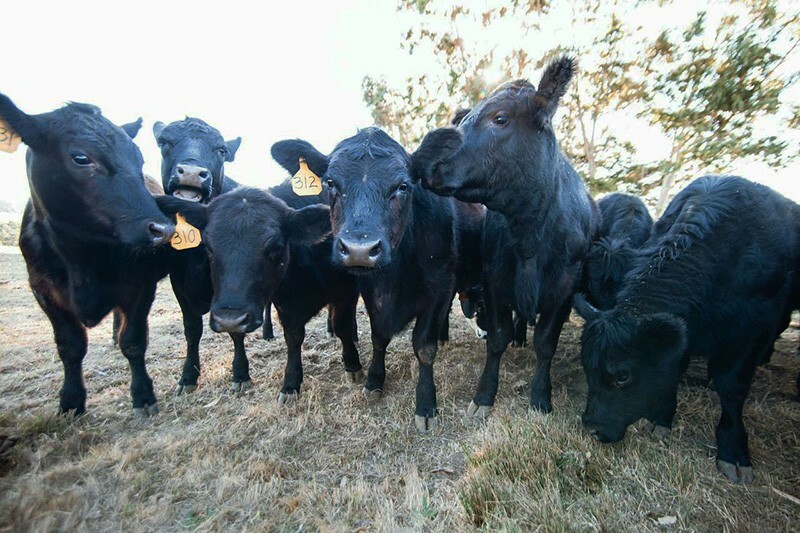 COW TOWN Calves graze at Bill Niman and Nicolette Hahn Niman's Bolinas ranch. "It's true that the industrialized beef industry, with its densely packed feedlots, dependence on antibiotics and fertilizer-intensive corn and soy bean, and often inhumane conditions, is indefensible," she says. "But from an environmental and health standpoint, there is nothing inherently wrong with raising cattle. On the contrary, done in a humane and ecologically sound manner, raising and eating cattle benefits the environment and is beneficial to human health." One of the first myths she tackles is that the earth is overrun with cattle and growing hordes of beef eaters, and if we just got rid of the vast herds and ate less meat, we'd be better off. Readers might be surprised to learn that, in fact, there are fewer cattle today than a hundred years ago and that we now eat less beef than ever before. From 1970 to 2005, beef consumption decreased by 22 percent in the United States. So if there are fewer cattle and we eat less meat, why are we plagued with a "beef problem"? 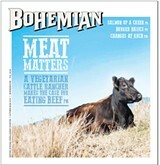 Hahn Niman also explodes the widely held notion that eating beef is linked to heart disease and cancer. Not true, a wide body of research says. Of course, there are always any number of new reports upending those that came before, but Hahn Niman is not cherry-picking fringe science like a climate-change denier. Her book is based on mainstream research. For example, she cites a major study by the Harvard School of Public Health which in 2010 found that although eating processed meat such as bacon and baloney was associated with a higher risk of heart disease and diabetes, "there was no increased risk at all from eating unprocessed red meats, including beef, pork, and lamb." Like the lawyer she is, Hahn Niman builds a particularly strong case against the popularly held belief that cattle production is a major contributor to climate change. She traces this notion to one particularly well disseminated report from the U.N.'s Food and Agriculture Organization (FAO) called "Livestock's Long Shadow" published in 2006. The report stated that meat—mainly beef—was responsible for 18 percent of greenhouse gas emissions around the world. That figure and the assertion that beef is an environmental threat has become ingrained in public consciousness, says Hahn Niman. "But it's totally untrue," she says in her rapid-fire delivery. "It's become this powerful urban vegan myth."